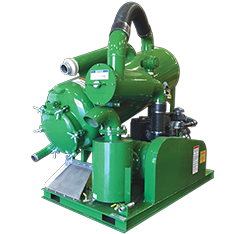 You’ve got concrete where you don’t want it, or you’ve got a coating on concrete that’s failed and you need to get it off..
High-pressure water jetting can be used for a wide range of concrete applications. 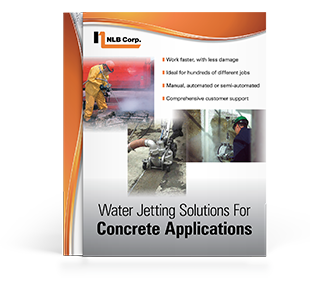 A high flow high-pressure water jet can cut through concrete by eroding the cement. At high pressure with a lower flow, water can actually remove coatings without damaging the sound concrete below. 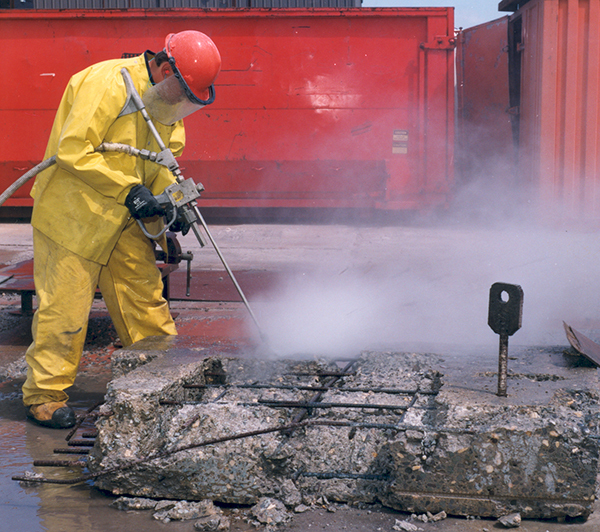 Add an abrasive to the jet and water can completely cut through a concrete slab with rebar inside. Watch a short video of UHP water scarifying a concrete slab. Watch as the drum of a concrete truck is cleaned with high pressure water. 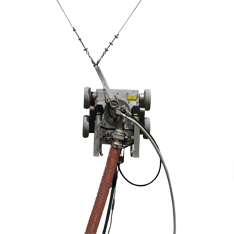 Learn more about how high pressure water can help you do a variety of concrete jobs more productively. Concrete digester tanks are blasted with 20,000 psi water prior to being re-coated. 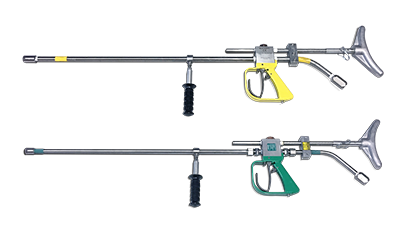 Tools for cleaning the forms used for poured concrete walls and foundations. 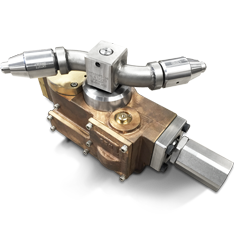 The perfect tool for removing coatings from concrete floors. 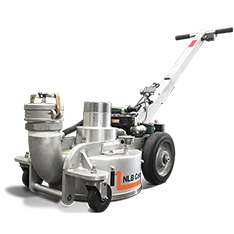 NLB’s line of compact vacuum systems allows you to collect and contain the water used on your concrete application. 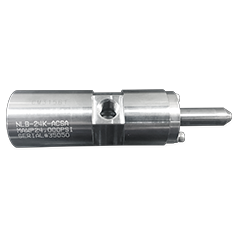 Highly productive tool for big coating removal projects.